View of Yinchuan city (Ningxia province, China) during sand storm. 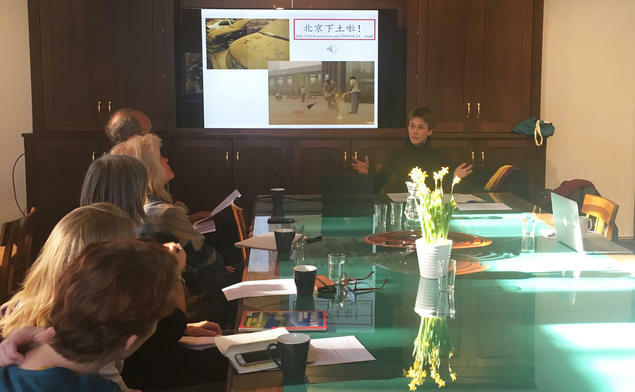 In her talk at CAS arranged by the research project Airborne: Pollution, Climate Change, and New Visions of Sustainability in China, Dr. Susanne Stein explored the shifts in interpretations of sand and dust storms (shachenbao 沙尘暴) in China from the 1970s to the present. Stein explained that before the 1970s, dust storms were mainly looked upon as a natural hazard. But at the end of the decade it was widely believed they were closely correlated with desertification, and were thus referred to as a “desertification alarm”. - As earlier attempts to control the dust storms had failed, a belief emerged that human action could be part of the problem, she argues. A disastrous dust storm in May 1993 that killed eighty-five people prompted the convention of the First National Conference on Sand and Dust Storms. The official interpretation of the cause of dust storms was now that they were in equal parts natural and anthropogenic. In 2000, scientific and popular attention for shachenbao increased as eight severe dust storms occurred in close succession within only two months. For the first time it was emphasized that sand and dust storms were predominantly a man-made disaster. Concurrently, shachenbao were often depicted as a “revenge of nature”. Still the impacts of dust storms on human health were not publicly mentioned. - However, after 2005 we can observe a new emphasis on the need for adaptation and preparedness. The development of early warning systems and forecasting has been strengthened. Since 2009 shachenbao have been known to the Chinese public as a “health killer”, according to Stein. 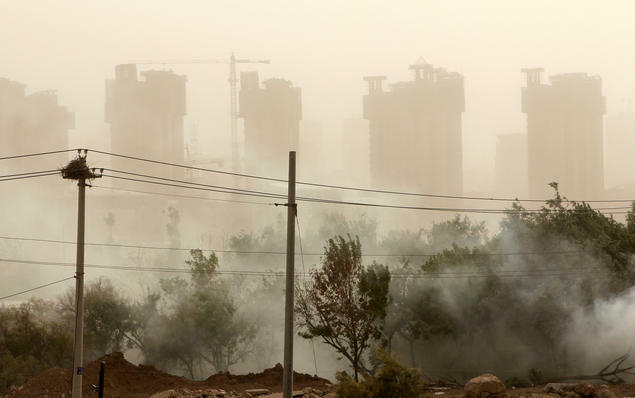 - The post-millennial perception of shachenbao has shifted from “desertification alarm” to “health killer” before worries about the detrimental effects of dust storms and the potential threat of smog to human well-being blended into one other around 2011. By now the term shachenbao has almost completely disappeared from public debate.